More Information: The project was a contract to Christopher-Kings and Associates by the National Business and Technical Examination Board (NABTEB). It entailed the development of a two-year Strategic Plan and Road Map to enhance the visibility of National Business and Technical Examination Board (NABTEB) and improve enrolment capabilities as well as the development of a youth empowerment project for the Board. The scope of work entailed: . 1. Creating a road map for repositioning and reinforcement of NABTEB visibility and value for its certificate. 2. 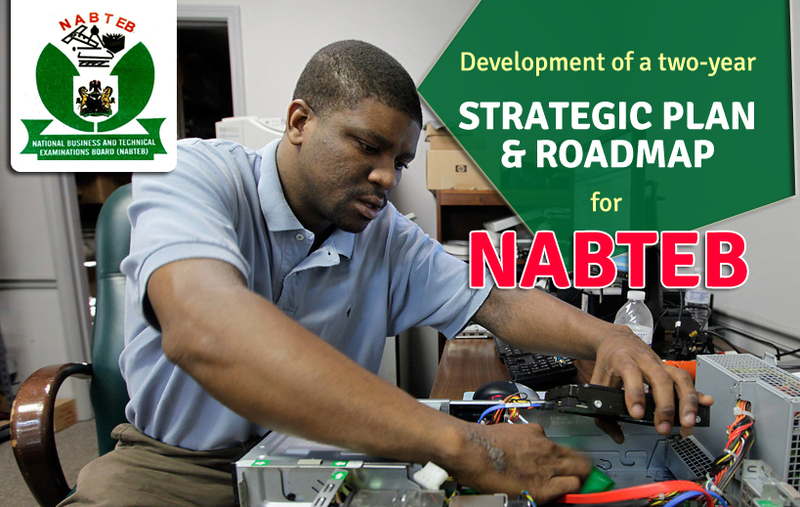 Design a Youth Empowerment Programme that would empower thousands of youth in Nigeria with Business and Technical skills and certification by NABTEB. 3. Attract the support and partnership of government and donor agencies for the program. 4. Obtain the partnership of local and international funding bodies for the provision of grants and loans for SME�s to be created by the program beneficiaries. .
5. Attract practicing and intending workmen/artisans..
6. Create a process that will bring about an interaction of the workmen and support from other organizations in order to provide the workmen with knowledge, skill, exposures, links, fund and platforms to start or move their operations to a highly professional, optimally productive and profitable level and standard acceptable anywhere in the world..
7. The development of an implementation plan and schedule and setting up a project support office to oversee the implementation strategy and project plan..
8. The setting up of a Project governance. 9. Identification and management of Stakeholders, Partners and Enablers. 10. Project progress tracking and monitoring. 11. Project Implementation team structure distribution of roles and responsibilities. About Project: The project entailed the development of a two-year Strategic Plan and Road Map to enhance the visibility of National Business and Technical Examination Board (NABTEB) and improve enrolment capabilities. It also includes the development of a youth empowerment project for the Board.